Photo from Tania Karas. Karas reporting in Athens, Greece. As a young kid flipping through articles in National Geographic and Time Magazine, Tania Karas dreamed of seeing her name in the byline. “I would be the person interviewing people from different cultures and writing stories about it to help my people back home understand what was going on in the world,” said the Northwestern University alumna and freelance journalist on her visit to Northwestern University in Qatar on Feb. 7. Karas was visiting to speak to high school students about her career journey after studying journalism at NU. In 2006, Karas joined Cherub, a journalism program for high school students offered by NU. The next year, she started her life as a Wildcat. After graduating in 2011, Karas worked at The New York Law Journal. She covered New York courts and immigration from 2012 to 2014. 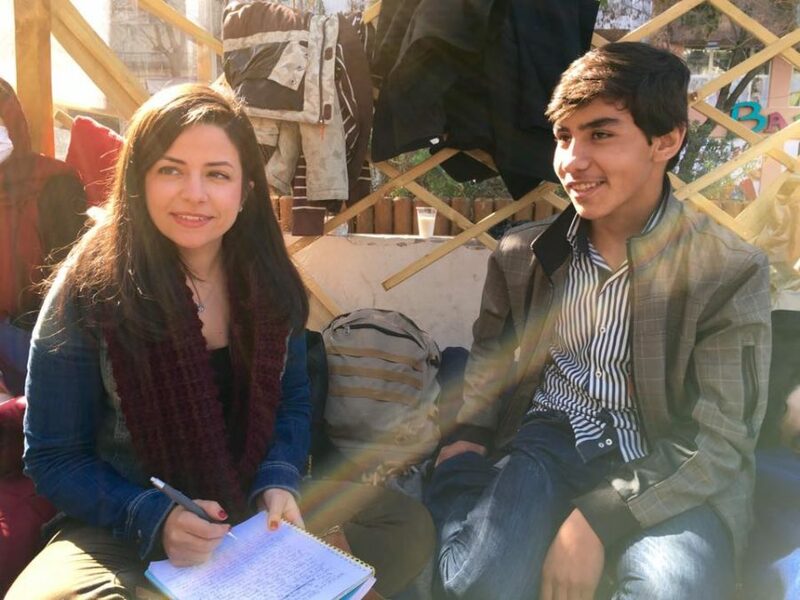 Since then, refugees and migration have become her reporting specialty. Photo from Tania Karas. Interview from Lesvos, Greece, November 2015. In 2015, Karas received a Fulbright fellowship, through which she covered a series of stories on the Syrian refugee crisis in Greece. Her work focused on the relationship between the refugees’ journey and the impact the influx of migrants had on Greece’s already weakened economy. “Greece has been going through a long financial crisis. When the refugees started arriving, they put a lot of strain on the country,” said Karas. Eventually, Karas decided to move from New York to Turkey to further explore the refugee crisis. Most recently, she was based in Lebanon. She described the experience as terrifying for them, as they would come from the Turkish coast to the Greek islands. Although it was a relatively short trip, it was dangerous, with up to 60 refugees crammed in one boat, she said. For Karas, covering the migration crisis was crucial because she found the rhetoric in Western and European media about the refugees to be very negative. According to her, jihad is often equated to terrorism, and the word refugees is synonymous with thieves and rapists to some politicians. “As journalists, we act as translators. We tell people what’s really happening, what are [refugees] actually escaping from, why are they actually coming to Europe,” explained Karas. To answer these questions, Karas realized that journalistic storytelling can actually act as a weapon to fight that deficit of empathy. She described this ability to be a metaphorical microphone as a power to be used carefully. In the face of humanitarian reporting that creates great emotional impact, she advised the aspiring journalists in the room to always stay calm and only answer the basic questions of who, what, where, when and why. But more importantly, she reminded them to be humans first and journalists second. 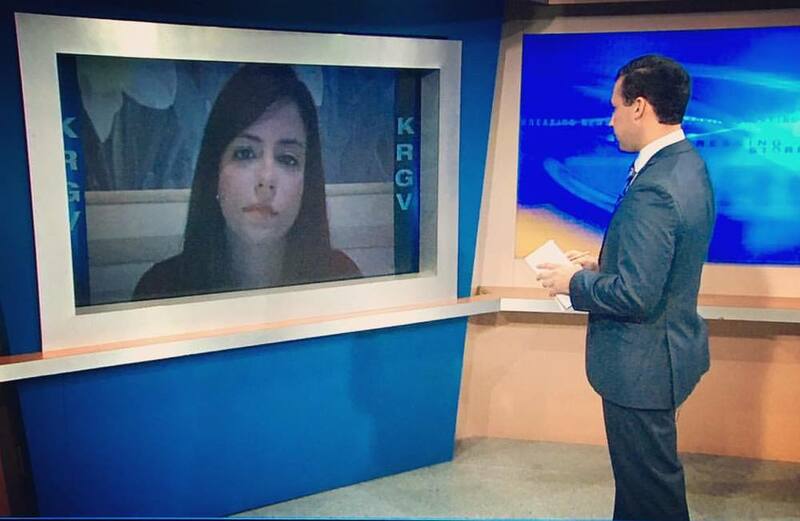 It is important not to lose sight of one’s humanity and to continue to recognize the humanity and commonality of our interviewees before “we get caught up in reporting,” said Karas.Finally, Karas highlighted the power that journalism can hold. “Tell people stories, change people’s minds; do real good in this world through your journalism,” she said.